The Institutional Effectiveness, Research, and Planning Office (IERP) provides professional leadership and supervision for research, planning, grant funding, evaluation and accreditation compliance activities that support the College's mission. 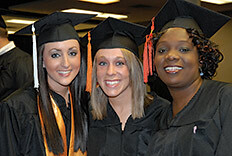 The Office has the unique responsibility of providing cross-functional support to all divisions of the College including all instructional programs and administrative units. Within the area of Assessment and Planning, the IERP Office manages the institutional effectiveness process and promotes student-centered culture by supporting continuous quality improvement, data-driven decision-making, and strategic planning. Accordingly, the IERP Office is committed to providing, facilitating, coordinating, and guiding the college's strategic planning process, educational program assessment, and institutional learning outcomes assessment; supervising and completing the college's institutional research functions; providing data and analysis for decision-making at a variety of levels; coordinating compliance for SACSCOC accreditation and risk assessment, and coordinating college reporting to governmental agencies and appropriate external constituents in the most timely and accurate manner possible. The primary function of Institutional Research is to collect, analyze, interpret and disseminate accurate and timely information to facilitate administrative decision-making, college planning, assessment and reporting activities. Institutional Research is responsible for numerous accountability reports to external entities, such as, Tennessee Board of Regents/Tennessee Higher Education Commission, multiple Federal agencies, contracted research collaborators, and various higher education publications. Institutional Research supports faculty research and curriculum development by serving as a resource for questions related to survey design, research methodology, data collection and analysis, and interpretation of results. 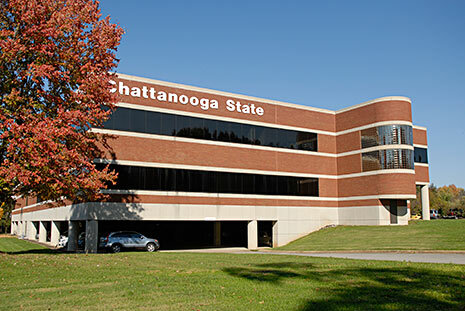 The Institutional Effectiveness and Research Office serves Chattanooga State by researching and developing grants in support of a variety of disciplines and areas. Although the Office is not primarily responsible for preparing grant applications, it is responsible to submit them and also serves a supporting role in grant preparation including critiques, data, and analysis when appropriate. All Federal, State, local, and external research- grant proposals must be coordinated through the Office in order to centralize monitoring of institutional resource commitments and to ensure consistency with the College mission. Institutional Research supports college-based applications for external funding through consultation and presentation of available data. College personnel who wish to apply for a grant should first complete an internal Application to Develop a Grant proposal found online in the Grant Proposal Development section of the IERP web site and/or contact the Grant Specialist as soon as possible in order to expedite assistance. If it is required as part of a funding application, the Office's staff will coordinate an Institutional Review Board (IRB) approval process.